We hold monthly meetings to discuss neighborhood happenings, organize social events, and do community service together. To learn more and stay in touch, sign up for our newsletter and follow us on Facebook. 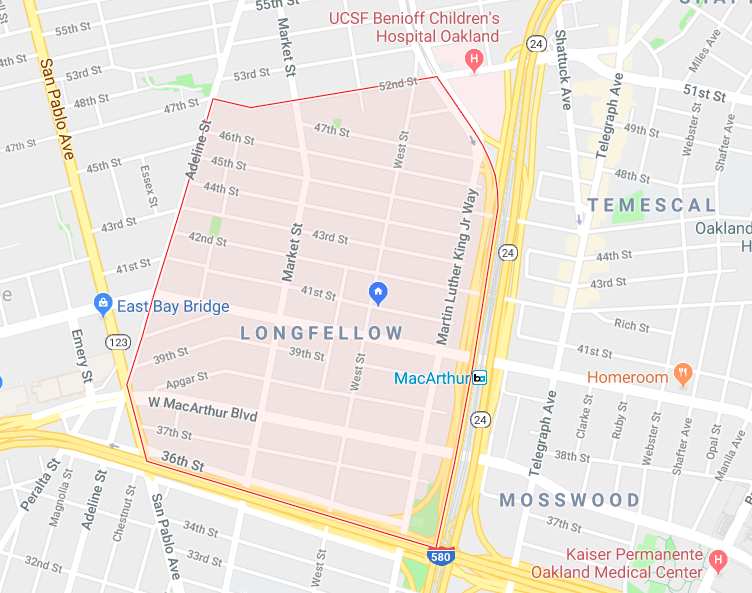 Longfellow encompasses the area north of Highway 580, east of Adeline Street, south of 51st Street, and west of Highway 24. Membership in the LCA is open to all residents and business in that area, and events are generally open to the public. LCA activities and meeting topics focus on Longfellow and the surrounding areas of North Oakland.